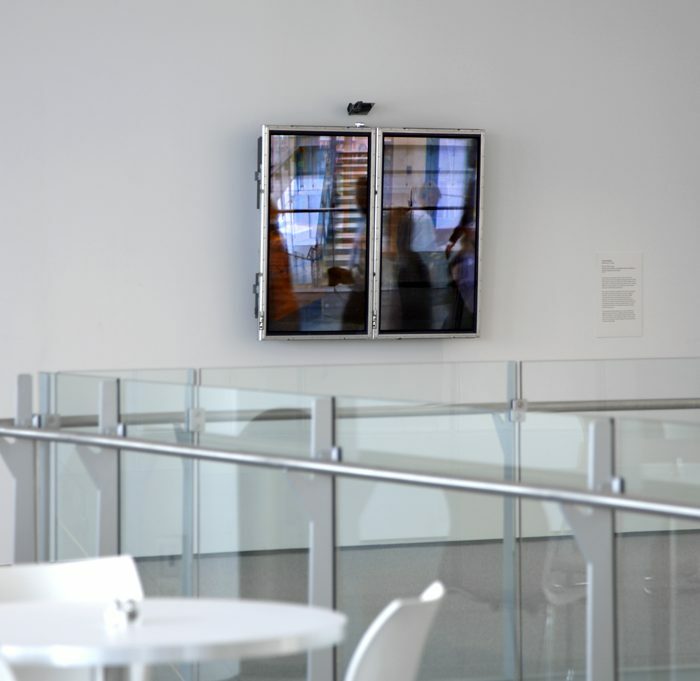 Across Time is a site-specific video-memory installation created for the Spertus Institute of Jewish Studies, commissioned to document and commemorate the Institute as it expands its home as well as its vision. 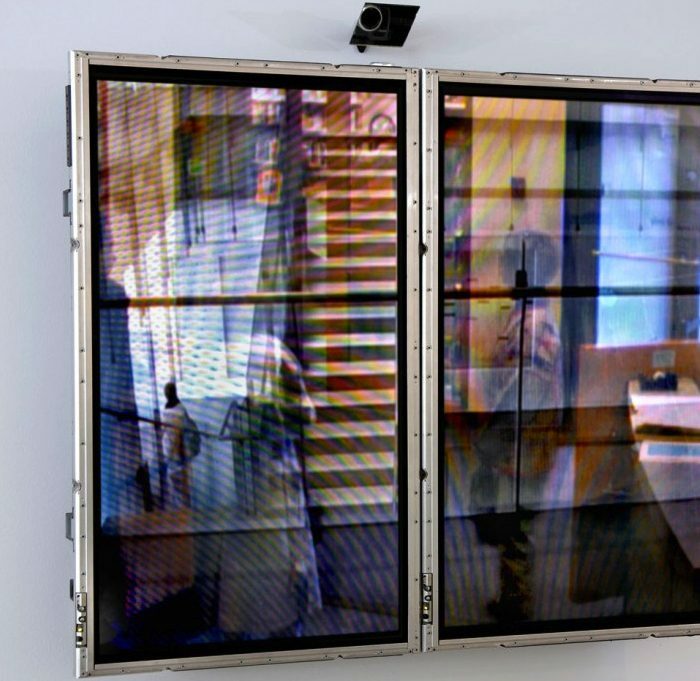 The piece will track the Institute and its visitors in its present location, through the construction of its state-of-the-art new building, and continue to record and revisit images when permanently installed in the new lobby. 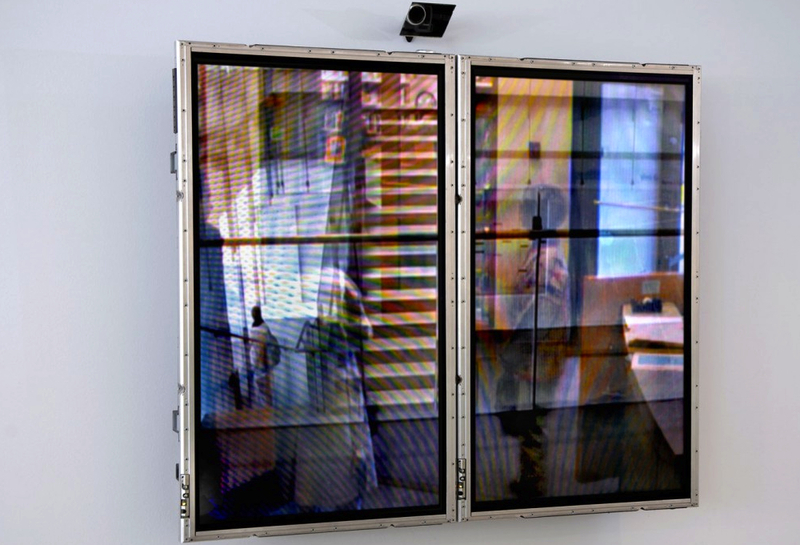 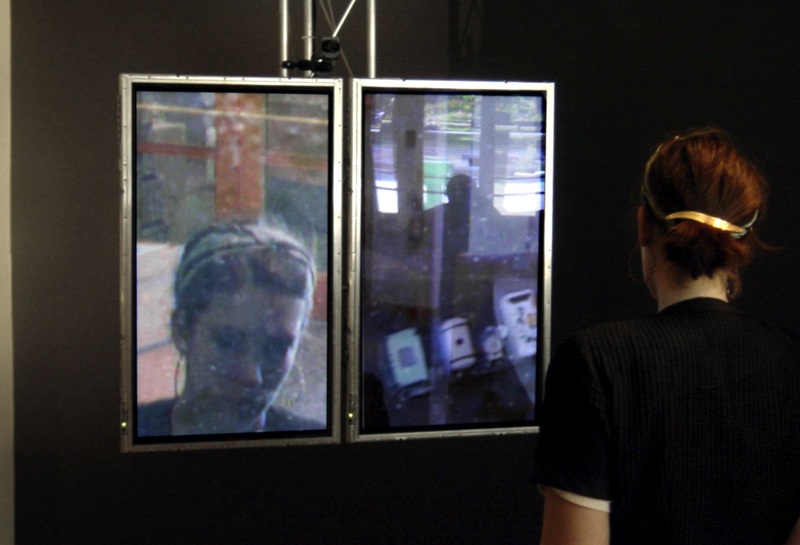 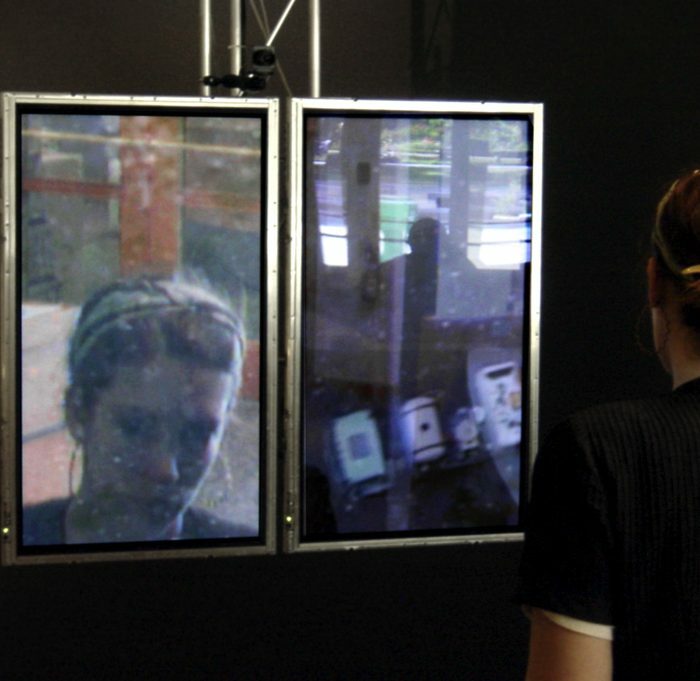 The viewers’ movements trigger both the recording and what is recalled, allowing them to directly contribute to the life of the piece; without interaction, no memory would be written. 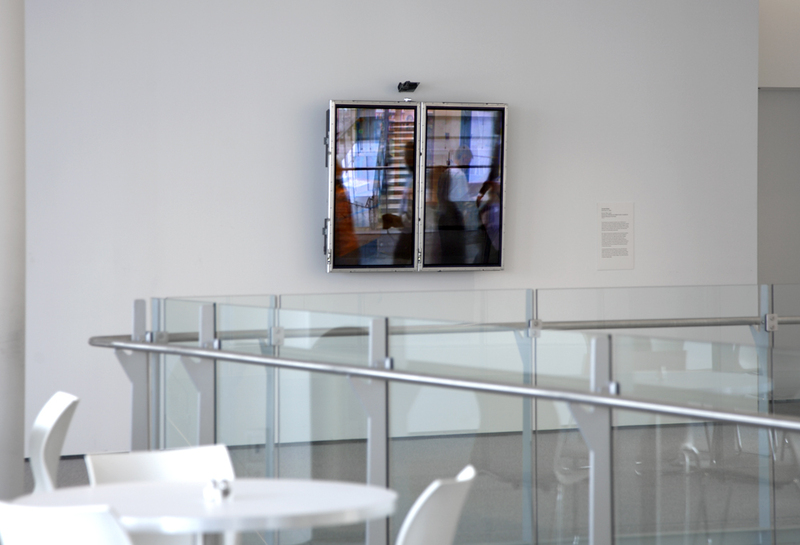 As it evolves with the museum, the two-screen piece will act not as a document of the past, but as a collision of it, generating an archive of history and growth simultaneously.